It’s been said that breakfast is the most important meal of the day. And that is probaby true, though possibly not for the reason you think. Maybe it’s not so much about kick starting your metabolism, as it is about setting the tone for the day. Think about what the word means – it means to break your overnight fast. If you’re intermittent fasting for any reason, you might be going anywhere from 12 to 18 hours between dinner and breakfast. But whether it happens at 6am or 10am or 2pm, it’s still breakfast – the first meal of the day. So if the reason it’s important isn’t about getting your metabolism going, why is it? It’s because the balance of your breakfast can determine how the rest of your day goes. If you start with a high carb breakfast, you’re likely to then have a blood sugar crash, and need to eat again very soon, Then you can be having blood sugar highs and lows all day. Many commonly eaten breakfasts – cereal with fruit and low fat milk, toast and vegemite, all fruit, banana on toast or baked beans on toast – are made up almost totally of carbohydrate, neglecting the fats and proteins that we need. As well as that, most cereals are highly processed and full of sugar. Having said that, we are all different in our needs, and are suited by different breakfast times, and different meals. We’re going to try out a variety of different breakfast recipes, and how you feel on each one. If you really find you can’t stomach anything before work, take something with you that you can eat mid morning. One important thing to remember, especially at breakfast time, is that chewing our food well releases digestive enzymes, which are needed to properly digest our food. When we’re hurrying out the door, it’s easy to forget and grab something we can swallow as quickly as possible. Resist the temptation. Even with smoothies, eat slowly and chew each mouthful well to infuse it with saliva before swallowing. Grains – Many people start the day with a grain based food of some kind. This can be fine as long as they are prepared properly. But grains contain large amounts of phytic acid, which inhibits mineral absorption. To neutralise this, they must be soaked, sprouted or fermented. Clearly, most modern cereals and breads haven’t had this treatment, and in fact have been processed in such a way as to make them even more indigestible. So the “porridge” recipes include overnight preparation by soaking whole grains. Note that they also include nuts, seeds and good fats, to avoid the problem of being excessively high carb. Dairy – Modern processing has also made most dairy foods indigestible. Pasteurising kills the enzymes that help digestion. Taking out the fat strips most of the fat soluble nutrients. Homogenisation damages the remaining fat, making it toxic. If you can obtain raw dairy products, these are far superior, full of nutrients and can often be tolerated by people with dairy allergies. If you can only get pasteurised milk, choose full cream, unhomogenised versions, preferably fermented. You can ferment your own milk or cream at home, with kefir grains or Caspian sea yoghurt, but many people find it easier to buy yoghurt or cultured creams such as crème fraiche. Click here for information about dairy intolerances and how to make butter and ghee. 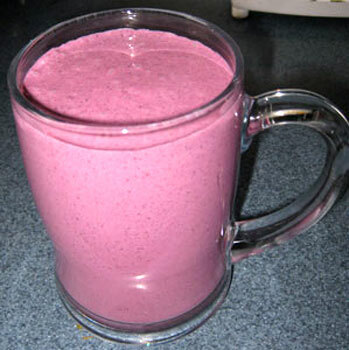 A lot of smoothie recipes (or bought high protein drinks) include protein powders. These are not a whole food, and most of them are poor quality because of the way they’re processed. The only ones recommended are unsweetened, cold processed whey protein powders. Look for ones that are micro-filtered, non-denatured and produced without heat. They’re not recommended for every day but for some people, in some circumstances, (eg vegetarians who are unable to get enough other protein) are an occasional compromise for breakfasts. 3 days this week, have your usual breakfast. Then for 4 days make a whole foods breakfast. Make one from each of the groups below (unless there is a group you already know you don’t do well on). If you are preparing food for other family members, ask them to keep the same records. If they are too young, observe their behaviour. If they are at school, you may be able to tell the teacher you are trying out different breakfasts and would like their feedback on which gave the best results. Ongoing: Try a few different breakfast recipes, and find some you like and feel good on. Rotate these recipes. If possible, find recipes that can be made for the whole family at once. Or find recipes that the kids can make themselves. Brown Rice and veggies – If you like grains, but don’t like them sweet. All you need is some leftover brown rice and some leftover vegetables from dinner. Or chop up some fresh onion, tomato or mushroom. Toss all together in a hot pan with some butter or olive oil, till heated through. “Jam” – soak some dates till soft, then zizz up with some berries. Or gently defrost frozen berries in a pan on the stove. Lift them out of the resulting juice and smush them on some bread. Eggs (boiled, poached, fried in butter or olive oil, or scrambled) with 1 slice buttered toast OR cooked veges OR a small serving of fruit. If you already know you are a Protein metabolic type, remember it’s important for you to have meat, poultry or fish with every meal. As well as these suggestions, any “meat and veg” meal that’s suitable for lunch or dinner can also be eaten for breakfast. If you can’t eat at all in the morning, a meat based breakfast is probably not for you. Some of the info and recipes from this page have been shared on Steemit at https://steemit.com/recipes/@kiwideb/real-food-breakfast-ideas-having-a-change-from-toast-and-cereal – come and visit me on Steemit!